Jack: Coin sellers and coin buyers. 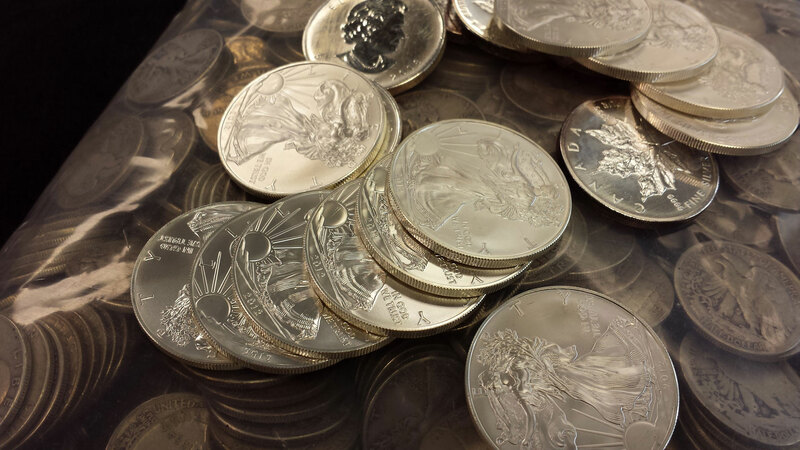 Also bullion buyers and sellers. 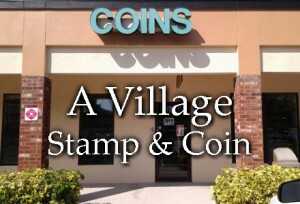 Why would a person choose A Village Stamp & Coin over another coin store in Tampa? Jack: Price. Selection. Fair dealing. What gives your store the advantage over your competitors? Jack: It’s probably a mix of various things. It could be Frank’s lovely personality! Frank: Having what they’re looking for. 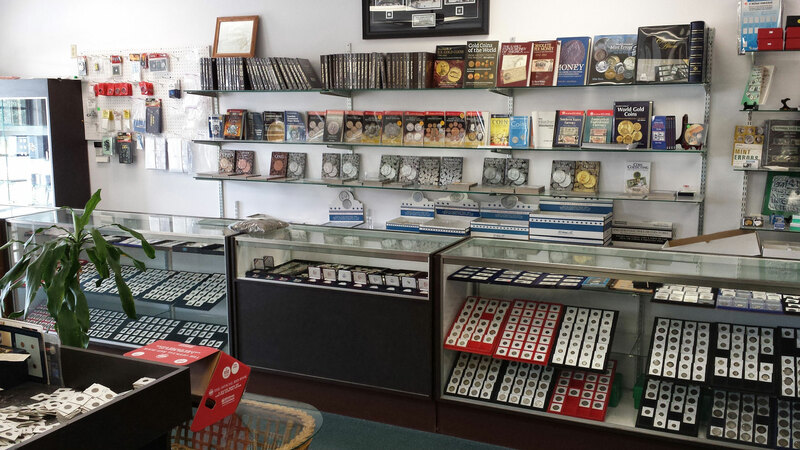 As one of the longest established coin stores in Tampa, we are the people to see for a wide variety of coins. What kind of questions would your customers have about selection? Jack: Questions about how many, what kind of coins we have to buy. What kind of supplies we have. Ed: A lot of people still collect. 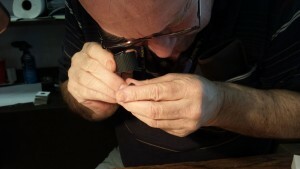 But we also have customers that have moved way beyond hobby. They’ve moved on into investing. Do you have a set of different mindsets that come in here? Jack: It includes investors, hobbyists, gift items and bullion. However, if you had to put this store all into a pot and boil it down and separate out the components, the money would be the main ingredient. 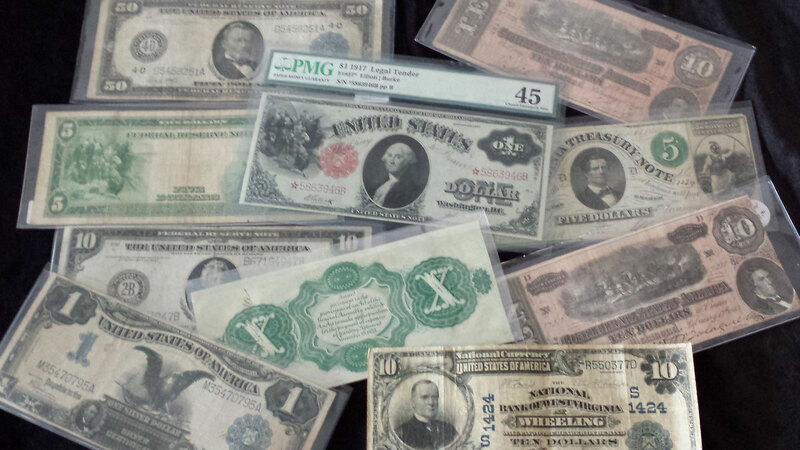 Ed: The hobbyists are here for the love of collecting. 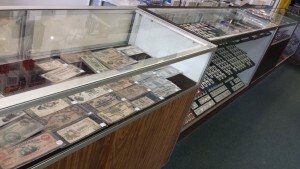 How does your store differ from other coin shops in Tampa? Jack: We have one of the niftiest showrooms in town. We have a great selection. 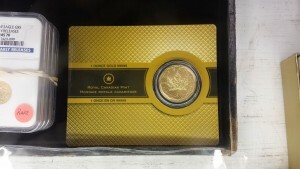 What is better about your store and service versus other coin shops? Jack: What’s better about it would be the experience that’s offered here. Between the three of us, we’ve got like a jillion years of experience. How many exactly? About 150 years. 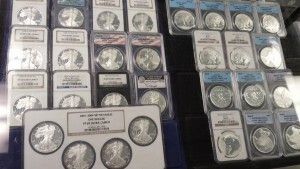 What are some current problems in the certified coin market? Ed: All the counterfeits coming out of China, at the moment. What are the perceived problems with coin collecting and investment? Jack: For the customer, the perceived problem is that you’re not going to get a fair deal. A lot of people come in here—scared. Well, we try to be fair to everybody. I can’t say that we don’t make profit. But you know, we pay fair. We pay really fair. What could go wrong with investing in coins, or buying and selling coins? 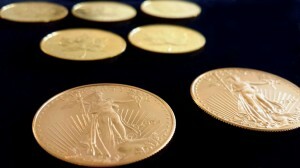 Jack: One thing that could go wrong is if the coin, God forbid, is counterfeit, and you bought it from us. That would be something to go wrong. 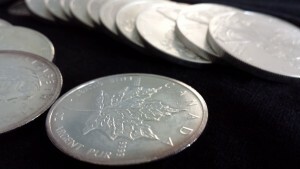 But to be realistic, that has only happened one time about 25 years ago, over hundreds of thousands of coins. And if that were ever to happen, just bring it back, we’ll gladly reverse the sale. If it’s some thing—like, okay, you bought a coin from us. And for some reason or another… I don’t want to go, “You have the Sears unconditional money back guarantee.” Because people will come in here and buy a coin for a hundred bucks and try to sell it down the street for a hundred twenty, can’t do it, and bring it back and want their hundred dollars back. Believe me, that happens. If there’s a bona fide problem, we have absolutely no problem with a reversal of the deal. None what so ever, not even going to argue with you. 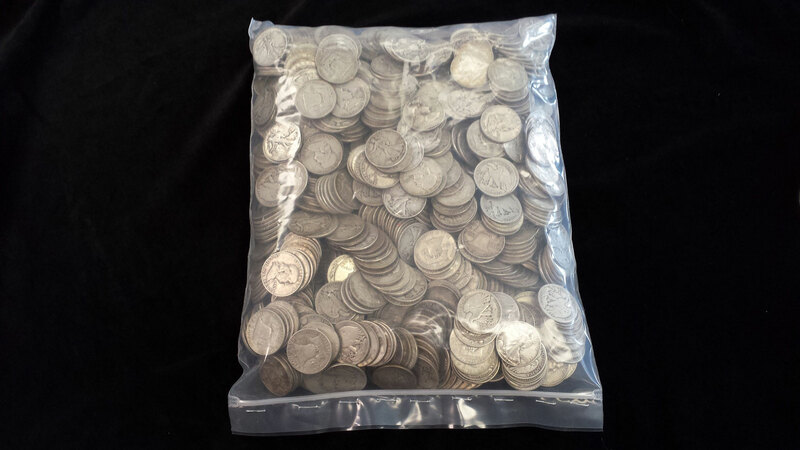 For instance, we’ve sold a bag of a thousand dollars face value that we’ve run through our counter. A week later the guy comes back and goes, “I’m ten short.” I know he’s not ten short, but I give him the ten coins anyways. Frank: We have people buy bags of coins, same thing. Where they’ve said they’ve counted every coin in the bag. What’s it like working in a popular coin shop? Jack: You know what’s a great program to watch for a lot of the answers and questions that you might have? Watch Pawn Stars. Watch that show. That’s very similar to what happens in here. Real similar to what happens here. 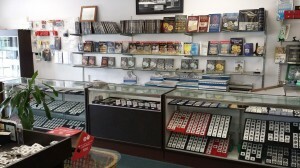 How does one choose a coin shop? Jack: I’ll tell you what, we get a lot of compliments about the shop in general, our selection, the amount of inventory we have out. Just the general layout, you’ve got buckets you can put your hands in. You’ve got supplies and lots of variety. I mean it’s all right here. 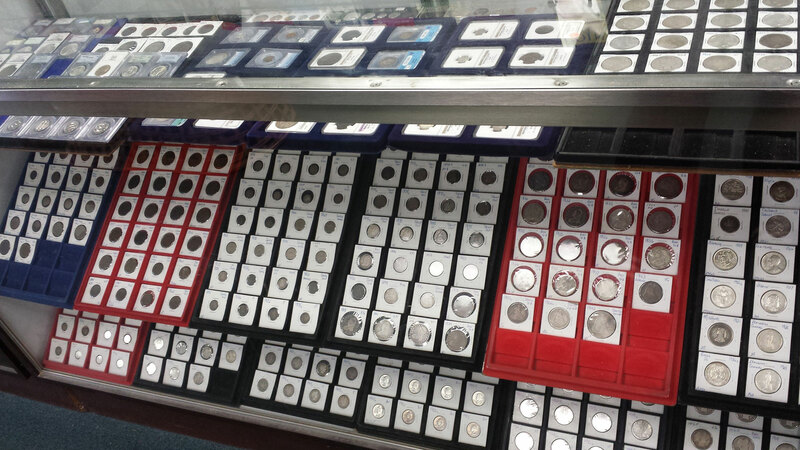 And you can go into a hundred coin shops, and this one will rank right up there with the best. Frank: Basically the variety of coins, the supplies, Ed being here 30 years. I mean these are all strong factors. Jack: Ed’s been here 30 years and the customers love him. Frank: There’s people who come here that won’t go any place else. And, you know, each coin shop has its own personality. There’s a lot of return clientele that comes in here. Another thing—and I’m going to brag about myself for a second—is I started a “dream sheet”. And I call people all the time. If you want a certain coin, if we get it in stock, I’ll call and tell you we have it. 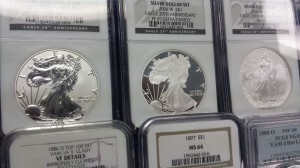 And that’s something that I don’t know of any other coin store in Tampa or the area does. So you started the shop in this building in 1979? Ed: Ah, no, over on Dale Mabry. This building in ’84. Was it all three of you to start? Jack: No, Frank and I are employees. Do you have a business story to tell? Ed: No. There’s not much there. If you want the coin, we probably have it. 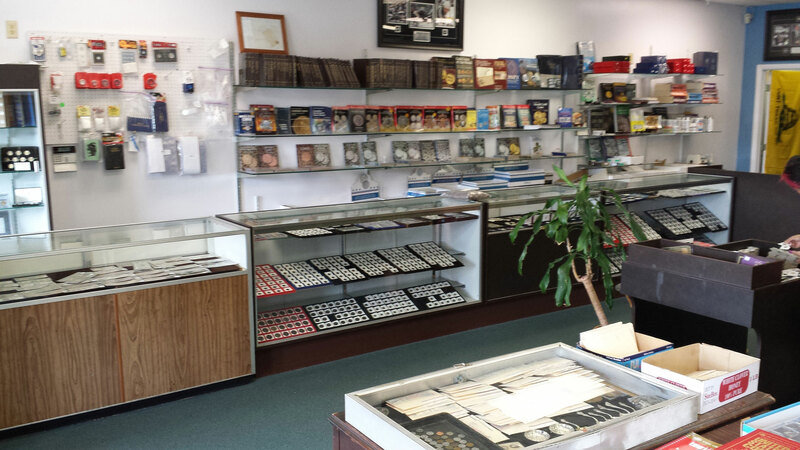 How do you transition from being a 30 year coin collector to wanting to have your own shop? Ed: It was really all I ever wanted to do. 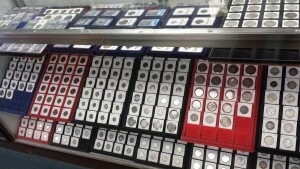 To have a coin shop. Yeah. I started collecting at seven, and never stopped. So you wanted to have a coin shop very early? Ed: Not at seven, no. But it just kind of evolved into that. Take your coins and old paper money to the experts at A Village Stamp & Coin in Tampa. 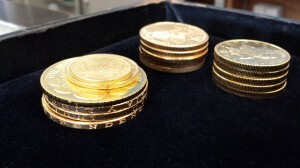 Jack: When I was a kid I used to have a repeating dream that I found a big pile of rare coins in the gutter on the street. Walking down the street. “Oh, look! 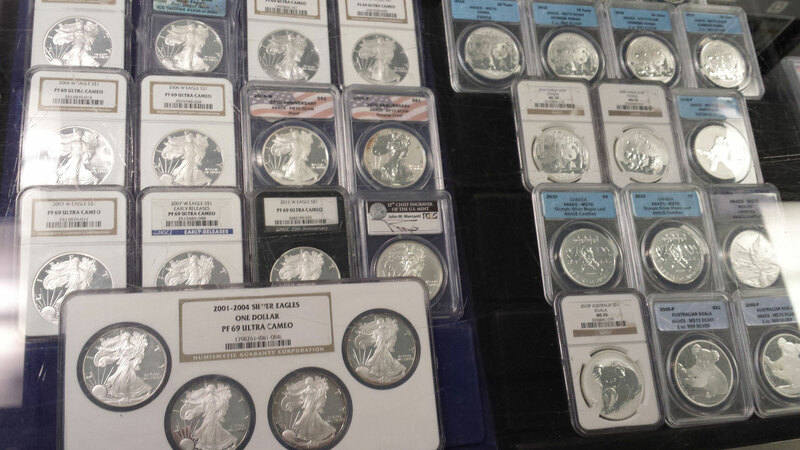 A big pile of rare coins!” I remember the dream, I can see it in my head right now. It was a recurring dream? Jack: When I was a kid. It doesn’t recur any more. Now I have piles of coins around me every day. For more about us, read our Reviews and Testimonials.